Join the Rotary Club of Hunters Hill - NOW! Meet new people in your local area; Have fun and fellowship; Care for your community; Become part of a worldwide organisation (and get access to a diversity of similarly committed business and professional people in over 200 countries); Use your personal and professional skills; Help make a difference both at home and overseas; and Be part of the good work done by Rotary International which has almost eradicated Polio from the world. 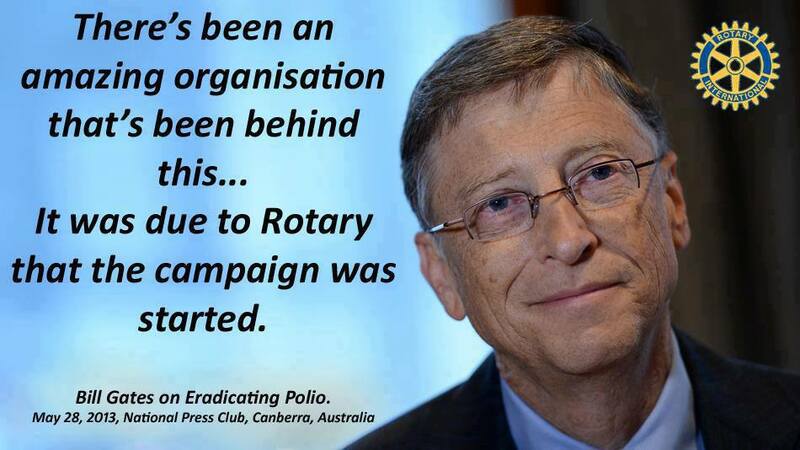 Would you like to learn more about your local Rotary Club? The Rotary Club of Hunters Hill meets every Wednesday at 6:30pm at the Sporties Club, 181A Ryde Road, Gladesville NSW 2111. To join us one evening as our guest, please contact our President Michael Parsons. from ticket sales, raffle and donations. Neville Hodgson, Hunters Hill Theatre Group, and Robert Winning. and for providing their services free of charge. Thank you to Councillor Zac Miles for providing hay stacks. and Bill and Ruth Scott of ½ do’s wine. The Rotary Club of Hunters Hills invites members and non-members alike to join our tai-chi classes. Come along and enjoy the benefits of tai-chi. Classes are held at Weil Park, (opposite Marist Sisters Girl’s School 60 Woolwich Road) on Tuesday and Thursday mornings from 7:30 am till 8:30 am. Classes are held in the Scout Hall at the park on days when the weather is too cold or wet and does not permit outside activity. The first class is FREE - so try us out! And if you like it, then we ask you to pay $12 per class or purchase a book of 10 tickets for $120. Please register your interest; Call Charles Amos (02) 9016 4465 for information, or just turn up on either Tuesday or Thursday mornings at 7.30am.